You know who else likes fan fiction...? Muscle Man and Starla may not seem like the next big literary talents, but when their supernatural love story finds a big audience, they start attracting a pair of agents, and the battle for their hearts—er, manuscript—begins! Can Mordecai and Rigby help Muscle Man and Starla choose the right destiny, or will their own manuscript take center stage? 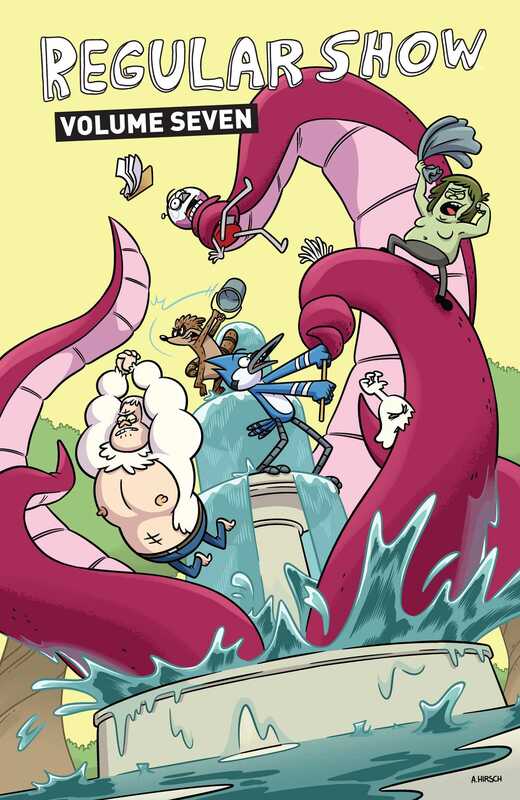 Brace yourself for an anything-goes rivalry in Regular Show, written by Mad Rupert (Regular Show: Skips) and illustrated by Wook Jin Clark (Regular Show: Noir Means Noir, Buddy).